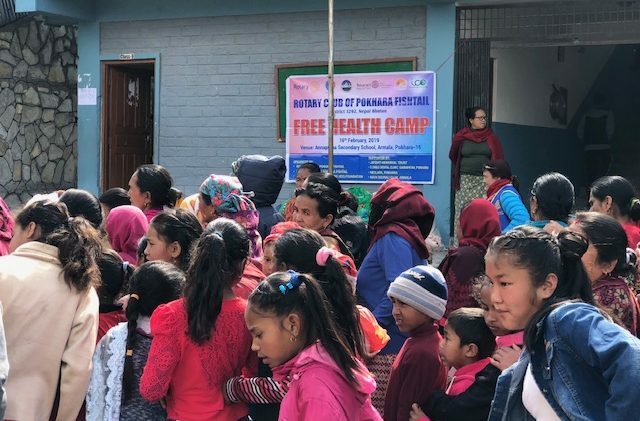 InnovativeCommunity.Org (ICO) partnered with the Rotary Club of Pokhara Fishtail to organize a one-day free health camp. This partnership is now it is 3rd year. 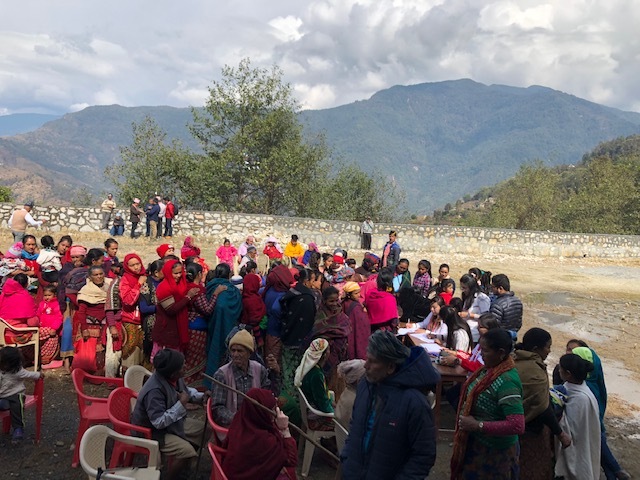 This year, the camp was organized at Armala village of Kaski district on 16th Feb 2019. Due to the rain on the early night, the muddy road was hard to drive but reached without any accidents. The technical team and the helping hands for the camp consisted of 36 people. In total 316 local people including a large number of children benefited by the camp. This year for the 1st time, we have been able to screen hearts of 52 children through cardiac eco machine. 3 children were identified of having serious heart problem. 3 gynecologists examined 87 women and prescribed medicines. 10 women had found serious uterus prolapsed problem. They will receive surgery at Western Regional Hospital in Pokhara. 152 children and adults received dental support with 28 people getting tooth extractions. Eye vision test and doctor’s examination were made for 155 people. 5 adults were found to have cataracts and 25 people were recognized to need glasses. There were two pediatricians and they examined 128 children and prescribed necessary medicines. About 100 people consulted with physician and received medicines. Most of them were found of having gastritis problem, which is very common in Nepal. All the patients received free medicines at the camp distributed by three pharmacists as per doctors’ prescription.